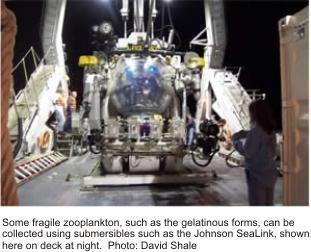 2009: A Deep Ocean Odyssey: online broadcast for students and the public. Enjoy new *stunning images of deepwater animals * music and *informal exchanges between scientists and students. 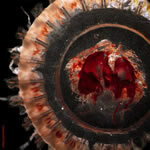 Take a look at our gallery of new species that have been found by CMarZ scientists. We are scientists, students and others interested in zooplankton from around the world who are working toward a taxonomically comprehensive assessment of biodiversity of animal plankton throughout the world ocean, a field project of the Census of Marine Life (see www.CoML.org). We are studying the 7,000 described species in 15 phyla that comprise the holozooplankton – animals that drift with ocean currents throughout their lives. We are determining a DNA barcode (short DNA sequence for species identification) for each species. We sponsor activities such as taxonomic training workshops, sponsors student and researcher visits to CMarZ laboratories. We maintain a distributed data system of biological and physical information from CMarZ related cruises. 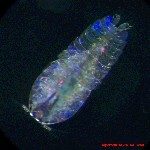 We provide image galleries of living plankton. 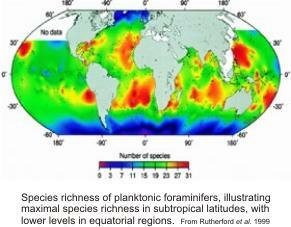 To produce a global assessment of marine zooplankton biodiversity, including accurate and complete information on species diversity, biomass, biogeographical distribution and genetic diversity. From 2004 - 2009, CMarZ carried out more than 80 cruises and collected samples from every ocean basin. Project offices are located in N. America (University of Connecticut, USA, the lead office), Europe (Alfred Wegener Institute for Polar and Marine Research, Germany), and Asia (University of Tokyo, Japan). ensures close coordination with other CoML field projects.